Disclaimer: Use this program at your own risk. We are not responsible for any damage that may occur to any system. This program is not to be used for any illegal or unethical purpose. Do not use this program if you do not agree with this disclaimer. 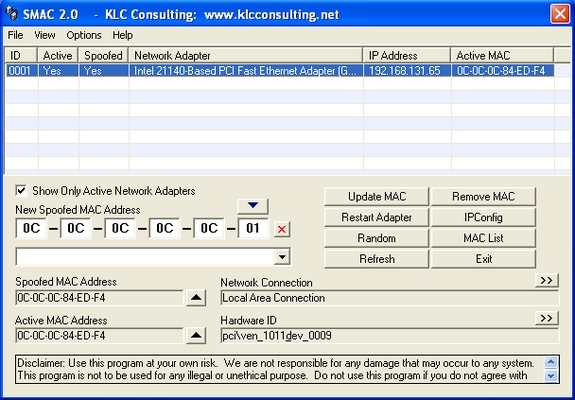 SMAC 2.0 change network adapters 134386010 25.50 recohallst Fresh Download Available!